We take complicated stuff and make it feel simple. MERIDIAN - Rubbish in a box. DIO - Open Day Recruitment. LMS AUCKLAND – Wrong Delivery. DESTNY RESCUE - Girls on the menu. Strategy is about making maps and setting goalposts. It’s the thinking and planning. You know a strategy is sound when answers seem obvious. Creative is the art of making emotional connections. It’s having ideas, painting pictures and crafting stories that help messages get remembered. Content can be defined as ‘stuff people like’. Stories, blogs, videos. The secret is the balance between keeping someone’s interest and selling stuff. "Do what you do so well they’ll want to come again and bring their friends." Hayley's an Irish dancing super suit, who joined us after a stint making stuff happen for Virgin Media in London. She rocks. Creatives create, Account Managers manage – and Caro does just about everything else. From wrangling builders and juggling diaries to planning events and putting out fires, she’s the office manager of our dreams. Erin is a visual genius, with an eye for detail and a passion for perfection. With a background in both design and dancing, she knows what real art looks like. And when she’s not making things beautiful, she’s making us laugh ‘til we cry. Matt is a through-the-line creative with a special passion for words. He’s spent over 10 years mastering the in’s and out’s and the do’s and dont’s of the industry – and now enjoys ignoring them all at hunch. Just as well he’s a genius. Steph is a fast-talking, quick-thinking Account Manager whose favourite saying is: “I love me a good rulebook”. Having said that, she’s not afraid to break the odd one or two, which makes her a fab suit – and a whole lot of fun to be around. We know Jo from that time she worked on Spark. She left to open a bakery. Now she's back. Panini anyone? Melinda has spent the past 8 years working in advertising agencies in New Zealand, Sydney and London. Working on a variety of local and global clients, Having had experience managing a full service of marketing comms including television, websites, digital and social media. 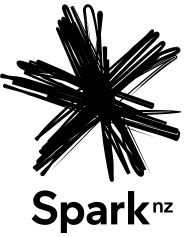 Most recently, the last two years, She has spent specialising in strategy for social media in New Zealand. Michael is an award-winning writer, problem-solving thinker and general enthusiast for anything that’s worth getting enthusiastic about. He loves nothing more than brilliant creative solutions to problems and puts that down to over ten years working in the best agencies in town. He reckons hunch is even better. It's tough to find brilliant people who know how to wrangle creative ideas, client challenges and new media. But we found one. Millie's done everything from social media to project management to travelling the world. Thankfully she's settled here. With an Honours degree in Graphic Design, Dylan’s a master at pushing pixels around till they pop. And when he’s not doing that, he’s performing perhaps his most important job of all - our office DJ. A born and bred Wellingtonian, Michael met Georgia on a trip to the capital where they talked words, wine and soon after that, wages. Having done stints at creative and social agencies, Georgia made the big move to Auckland and now crafts beautiful words for Hunch. Having tried everything from bio-med to bar-tending, Anna knows a thing or two about a thing or two. She's cool. "The more you know, the better the hunch."